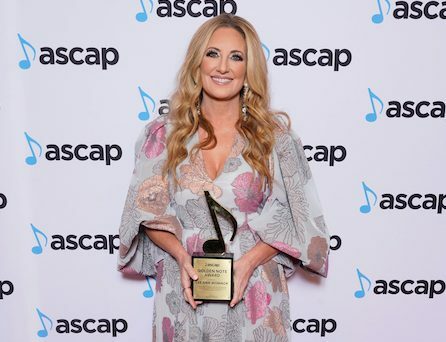 Lee Ann Womack accepted the prestigious ASCAP Golden Note Award at Monday night’s ASCAP Country Music Awards in Nashville, TN, which featured surprise tributes to Womack by Alison Krauss and Tony Lane, Chris Stapleton and Buddy Miller. The ASCAP Golden Note Award is presented to genre-spanning songwriters, composers and artists who have achieved extraordinary career milestones. Previous Golden Note recipients include Elton John, Pharrell Williams, Tom Petty, Don Williams, Garth Brooks, Kenny Rogers, Alicia Keys, Lauryn Hill, Duran Duran, Lindsey Buckingham, Lionel Richie, Alan Jackson, Reba McEntire and JD Souther, among others. Womacks latest release, ‘The Lonely, The Lonesome and The Gone’ (ATO Records) is an album NPR says is bound for the country canon, and the Wall Street Journal echoes, remarkably strong, an album thats bound to last. Recorded in her home state of Texas, the collection is a breathtaking hybrid of country, soul, gospel and blues and showcases her songwriting talents as well, earning spots on many year-end best-of lists including NPR, Rolling Stone and Garden & Gun. She was named Female Vocalist of the Year in the Nashville Scene’s annual Country Music Critic’s Poll. For a complete list of tour dates and more information on Lee Ann Womack, visit her Website and to keep up with the way she’s been livin’, follow her on Facebook and Twitter. Clare Dunn Joins CMT’s Next Women Of Country Tour And MORE!